CMMG RIFLE ENDEAVOR 300 MK3 .308 Win. For shooters and hunters who need to reach out to extended ranges, CMMG's Endeavor is built to maximize long-distance precision. 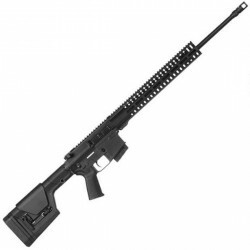 The 308 Winchester Endeavor 300 model features a Magpul MOE stock, 24" 416 stainless steel barrel with black nitrided finish and SV muzzle break, and 7075-T6 aluminum upper and lower receiver with a black hardcoat anodized finish.